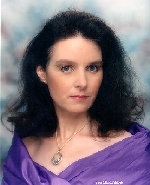 My writing career began in 1984 when I sold the first of over 100 non-fiction articles written for the horse magazines. All of those pieces appeared under the name "Janeen S. DeBoard." A few years later, a friend and I decided to try our hand at novels. We wrote three and sold the third one, APRIL'S CHRISTMAS, to Avalon Books in the summer of 1994. 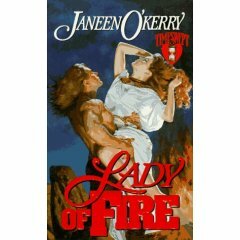 The first novel I wrote on my own was the time-travel romance LADY OF FIRE, set in Pagan Ireland and published in August of 1996 by Leisure LoveSpell. This book explored some of the connections between the ancient pagan festivals and the holidays which we still celebrate today. I found this to be a fascinating topic, and decided to take a look at all eight of these festivals in a line of novels called the "Celtic Journeys" series. Each novel will be a romance focusing on one of the ancient festivals. For example, LADY OF FIRE deals with a celebration of early spring called "Imbolc" in pagan Ireland -- a celebration which happens to fall on the same date as the heroine's birthday. The second novel in the "Celtic Journeys" series is QUEEN OF THE SUN, which takes as its setting the very magical occurrences surrounding the celebration of the Summer Solstice. MISTRESS OF THE WATERS takes on the ancient and powerful ritual of life and fertility called Beltine -- although our heroine knows it only through its much-diluted modern descendant, May Day. Strange things can happen, she discovers, when one is chosen Queen of the May, and the hawthorn flowers are cut to make a crown . . . I've always had a great interest in Ireland, history, horses and fantasy, and truly enjoy combining all these things in the time-travel novels.